Each year, Medicare Part D requires group health plan sponsors to disclose to individuals who are eligible for Medicare Part D and to the Centers for Medicare and Medicaid Services (CMS) whether the health plan’s prescription drug coverage is creditable. 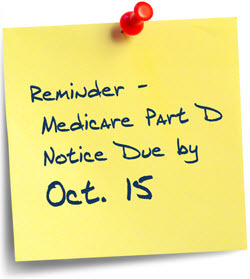 Plan sponsors must provide the annual disclosure notice to Medicare-eligible individuals before October 15—the start date of the annual enrollment period for Medicare Part D. CMS has provided model disclosure notices for employers to use. 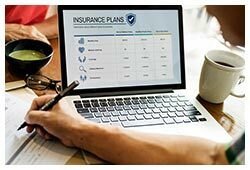 Employers should confirm whether their health plans' prescription drug coverage is creditable or non-creditable and prepare to send their Medicare Part D disclosure notices before October 15. To make the process easier, employers often include Medicare Part D notices in open enrollment packets they send out prior to October 15. Despite decades of attention in the media and courts, sexual harassment remains a significant and costly problem in today's business environment. Learn how to prevent sexual harassment in your workplace by watching the video below.